Strategy and innovation is not just for the organisations that create new products and services focused on social change. It is for the philanthropist too writes social change strategist, Suhit Anantula. Giving money is not an easy thing. Especially, if you are serious about outcomes. If you don’t believe me, ask Warren Buffet, one of the richest people in the world. In 2006, Buffet pledged most of his fortune to the Bill & Melinda Gates foundation. If you think about it? – ?if your goal is to return the money to society by attacking truly major problems that don’t have a commensurate funding base? – what could you find that’s better than turning to a couple of people who are young, who are ungodly bright, whose ideas have been proven, who already have shown an ability to scale it up and do it right? What can be more logical, in whatever you want done, than finding someone better equipped than you are to do it? Who wouldn’t select Tiger Woods to take his place in a high-stakes golf game? That’s how I feel about this decision about my money. If Buffet, who was very good at making money, turning his $15 million investment in Berkshire Hathaway into $65 billion, thinks that there are better people than him to spend it, what chance do you have as a millionaire or a billionaire? We need to think carefully about giving money, in fact, as much care as we would take about making it, if not more. The world is getting complex. Decades of investment in welfare in the developed world has not solved the social problems. Some of them have become worse than before and we have new ones which are intractable. In this space, money by itself will not work. We need to get clever at the way we spend that money. We need a perspective. A strategy. Lets look at Andreessen Horowitz, the VC firm that is taking silicon valley by storm. The first perspective they have is that “software is eating the world”. The world of the future in every industry will be disrupted and dominated by software. Whether right or wrong, that is a powerful perspective to have. The second perspective they have is more powerful. They believe that the technology business is the innovation business. Technology changes and that means there is a need to be continually innovative. In their experience, the innovators are founders of companies. These innovations are product cycles. Professional CEOs are effective at maximizing, but not finding, product cycles. Conversely, founding CEOs are excellent at finding, but not maximizing, product cycles. Our experience shows—and the data supports—that teaching a founding CEO how to maximize the product cycle is easier than teaching the professional CEO how to find the new product cycle. These perspectives drive the VC business for them. They have built their team around these perspectives. Bill Gates has a different perspective and a different strategy. Gates seems to relish nothing more than challenging business as usual, often by applying a dose of more ambitious thinking. It was the same impetus that led him to rethink familiar approaches to philanthropy, throwing his money into the urgent pursuit of solutions to big problems rather than attempting a drip-feed of donations that would amount to little more than a Band-Aid. While the foundations started by the likes of Howard Hughes and pharmaceuticals boss Sir Henry Wellcome are still among the handful of the world’s richest decades after their founders’ deaths, the Gates Foundation has been programmed to dole out all its cash and wind itself up 20 years after their deaths. What is common between the VC firm of Andreessen Horowitz and the Gates Foundation? They are both investing for innovation. They have perspectives that help them make decisions through that lens and they are creating outcomes that matter in their particular sectors. In the same way, a philanthropist needs a strategy. You need to know why and how the money you have is going to create change. What are your values? How do you see the world? What do you see as the biggest challenges worth solving? What are you good at? Are you a good steward who will keep the foundation alive for 100 years? Are you an innovator who is going to take the challenge of solving some of the toughest challenges? You need to have what strategy guru, Roger Martin says?—?a “where we play- how to win” option. Once you decide on a strategy, you need to follow through on the actions with a innovative approach. What are some of the perspectives that are needed? Builder or Buyer? Most Governments are buyers, are you a builder? That’s a novel perspective. As an innovator you knew how to create value to customers and create a sustainable business model. How can you help the NFPs and social enterprises to do the same? Can you be a catalyst for a community? About the author: Suhit Anantula works at the intersection of entrepreneurship, design and social sciences with a focus on social change. His focus is to solve adaptive social challenges and is a consultant and facilitator for innovation, business models and strategy. He is currently working with an international design agency, Business Models Inc, to focus on building a practice around bringing the best of the entrepreneurship and innovation capability to the NFP sector, social enterprises, Government and philanthropists. His Blog site Humanomics can be found HERE. 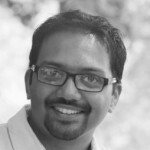 Suhit Anantula is a leading social change strategist working at the intersection of entrepreneurship, design and social change.